Install, configure, and deploy the agent. Note: Our intent is to support all maintained versions of the respective libraries. If library maintainers drop support for a version of their library we may also drop support. Skylight has built in integration for Rails, Sinatra, and Grape. We also offer alpha support for Phoenix! Skylight utilizes Rails’ Railties to autoload. It then watches the built ActiveSupport::Notifications to get information about controller actions, database queries, view rendering, and more. Not running Rails? We also support Sinatra apps, though the default instrumentation will be less detailed. By default, we’ll recognize your Sinatra routes and also instrument any supported gems. You can also add custom instrumentation). We support Grape standalone as well as embedded in Rails and Sinatra. We recognize endpoints and instrument rendering and filters. While we still love Ruby, we know that a number of users have been exploring Phoenix as an alternative to Ruby and Rails. To that end we’ve been working on a version of the Skylight agent for Phoenix. You can find that on Github right now. It should work, though it’s definitely in an early state. In order to create a Phoenix app in Skylight, you’ll need to create a new Skylight app manually. In Ruby apps, you can run bundle exec skylight setup but there’s no Phoenix equivalent yet. 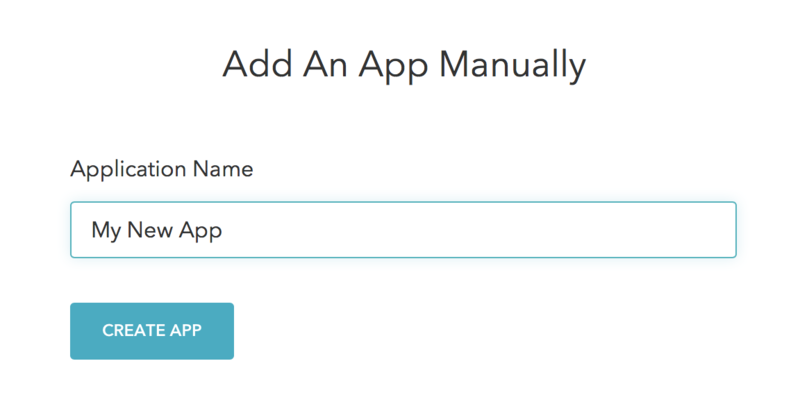 After enabling this feature, when you go to the Setup screen you can manually create a new app to connect to your Phoenix agent. If you give the Phoenix agent a try, we’d love to hear how that goes. We’re pretty excited about it! For the curious, our CI currently is testing against these versions. Intermediate versions are expected to work as well. We aim to support all *nix servers with glibc 2.15+ as well as FreeBSD and musl. Just add the gem to your Gemfile, add the configuration, then deploy as you normally would. You can also run the agent locally on macOS for testing, if desired. The agent runs great on Heroku. No special actions required. See the information about individual installations below to find out how to run the agent in the environments you care about. Set the appropriate ENV vars, at the minimum SKYLIGHT_AUTHENTICATION. See below for more information. After this, all you need to do is run your standard deployment process. Note that changing a config var in Heroku will cause your application to restart. Once the app has restarted and handled several requests, you should begin seeing performance data about your application in Skylight. For more information about setting Heroku config vars, see Configuration and Config Vars in the Heroku documentation. # The authentication token for the application. The only thing you need to set is the authentication token, but there are a number of other configuration options available. Add additional configuration options to config/skylight.yml. This configuration file will be parsed as ERB so you can add additional logic if desired. Alternatively, configuration can be set via environment variables. In general, the ENV variables are capitalized versions of the YAML versions prefixed with SKYLIGHT_. Or set the SKYLIGHT_AUTHENTICATION environment variable. Once configured, Skylight will not collect instrumentation and requests to this endpoint will not be counted in the application’s usage or be represented as part of the application’s aggregated response time and RPM graphs. The name of the endpoint can be found in the endpoints list on your Skylight application dashboard. For Rails actions, it will be Controller#action, for Sinatra it will be VERB path, and for Grape it will be Module [VERB] path. You can find the name in the Skylight endpoints list if you’re unsure. You can not add an endpoint name using a wildcard like ControllerName#*. We generally discourage folks from ignoring any endpoints that are not heartbeat endpoints, as it can reduce the usefulness of Skylight. If you don’t think an endpoint is going to be a problem, but then you ignore it, you won’t know that it’s causing an issue until it’s too late! Or set the SKYLIGHT_LOG_FILE environment variable. By default the log can be found at log/skylight.log with Rails or STDOUT otherwise. The path where the socket file for the daemon is created. In general you will not need to change this. However, if you’re using an NFS mount (say with Vagrant) you’ll need to point this to a non-NFS location. If you deploy a git repository, deploy tracking should Just Work™ (not actually trademarked). You can, however, override the default deploy id, git sha, and deploy descriptions with configuration variables as shown below. You may need to enable Heroku’s Dyno Metadata feature in order to send deploy information to Skylight. # Set an id and/or a sha. If no id is provided, the sha will be used. # The deploy description is optional. Alternatively, you can set SKYLIGHT_DEPLOY_ID, SKYLIGHT_DEPLOY_GIT_SHA, and SKYLIGHT_DEPLOY_DESCRIPTION as environment variables. Pro Tip: If you link your app to GitHub and provide a valid git sha, you can leave the description blank. We’ll get it for you from GitHub! IMPORTANT: If you override one of these variables, our server will assume they are all overridden. For example, if you deploy with Heroku and override your deploy descriptions, you’ll also need to override the deploy id and/or sha. By default, the Skylight agent only enables itself in the “production” environment. Click here to learn how to enable Skylight in other environments. There are additional configuration options that can be set in the Rails environment. IMPORTANT: Unless otherwise noted, these settings should be added to config/application.rb. Do not attempt to set them via initializers as Skylight starts before initializers are run. In order to instrument other libraries outside of Rails, the agent includes probes which are only activated if the related files are required. For a full list of probes see our Available Instrumentation Options. You may also want to learn more about how probes work. See the Rails configuration instructions for more information. Skylight works just as well in standalone Sinatra apps, though the instructions are just a touch more involved. PATH_TO_CONFIG should point to your config/skylight.yml file. Alternatively, if you are setting your configuration using ENV variables, you can call Skylight.start! without arguments. You don’t need to install any middleware manually, or do anything with unicorn forking settings. Note: Padrino is not currently supported as it differs from base Sinatra in some significant ways. We are investigating adding support in future releases. If your Grape app is mounted in Rails, it works out of the box with no further configuration! Congrats! If your Grape app is mounted in a Sinatra app, just follow the Sinatra instructions. Grape apps usually do not require all gems in the Gemfile, so you will want to explicitly require Skylight. You will also need to boot up the Skylight agent explicitly. IMPORTANT: Since you probably don’t want to instrument your app locally, you should set up conditionals to ensure that Skylight is only run in production environments. If your application token may have been compromised, you can regenerate it from the settings page. Once you have regenerated the token, you will need to update your production application with the new token. In some cases, you might need to set up an app on Skylight manually, (e.g. to use the Phoenix agent). Manual app creation is a way of setting up an app in Skylight without having to run bundle exec skylight setup <setup token>. Navigate to your app setup screen, and click the “Or create the application manually.” link towards the bottom of the page. Then, you’ll be able to type in the name of your new app. Once the Skylight app is created, you’ll be redirected to the app settings page, where you can retrieve the authentication token for your application. Next, you’ll need to set your set your authentication token. Finally, deploy your application. After deploying, be sure to check your Skylight dashboard; you should begin seeing request data appear shortly!